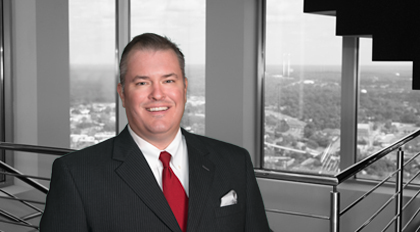 A member of the Moore & Van Allen management committee, Jeremy Godwin represents Fortune 500 companies and other corporate clients in their most complex, high-profile matters. His articulate communication of such elaborate legal matters has earned him various honors, including recognition in the nationally renowned Chambers Partners USA, which ranks lawyers based on comprehensive research and client evaluation. He structures, negotiates and prepares of a wide range of transactions, both public and private, including significant mergers and acquisitions and joint ventures. He assists business entities with the location, permitting and development of business and industrial facilities – both U.S. and cross-border locations. He routinely works with senior corporate management, general counsels and boards of directors of public and private companies on strategic corporate matters, including guidance on corporate law and governance issues, critical vendor and customer agreements, major equipment purchases, and similar corporate transactions. Team leader representing client in the $770 million strategic acquisition of a U.S. manufacturing facility.